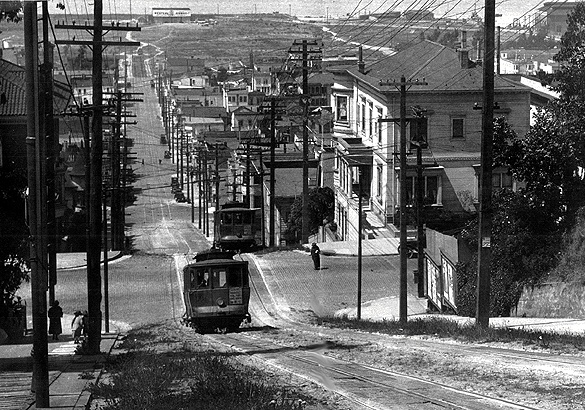 Looking north down Fillmore Street about 1920 from Pacific Heights toward landfill which had hosted the Panama Pacific International Exposition of 1915. Fillmore north from Broadway, 1903. And who could forget the intriguing, though at times temperamental, Fillmore streetcars? From Green to Broadway towered two massive Kilamanjaros, mixtures of dirt, grass and cobblestone. One single cable was attached both to the descending and ascending cars. By means of accurately synchronized bell signals both motormen knew exactly when to begin their runs, and the descending car would pull the ascending car uphill. 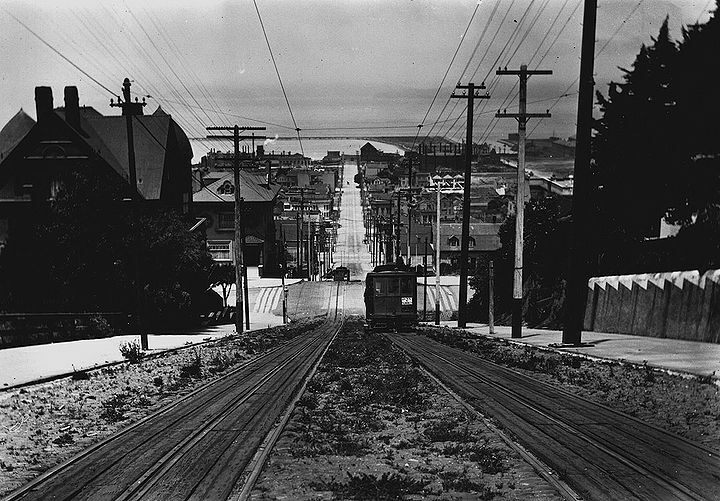 Fillmore Street north, as a truck is stuck trying to climb the hill, 1912. A new car poses on Fillmore Street, 1910.